Nobody wants to be in the worse situation than before. Neither do we like our stuff in a broken state. Likewise, it is no different when it comes to our Microsoft Windows Operating System. I installed a new device driver and just like that my computer started to behave erratically. Another time, I click an email attachment, and BAM! 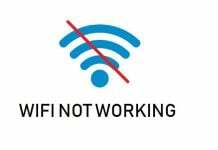 my laptop did not connect to the internet. I really wanted to get back my PC to the way it was before. There are many reasons for your Windows to break! 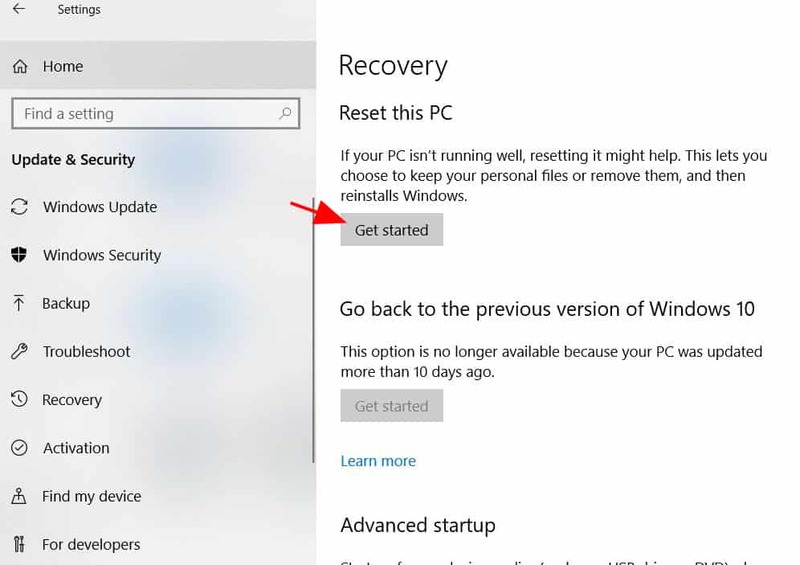 In this How-to guide, we will show you how to do a system restore on Windows 10. We will also give you a step-by-step tutorial on how to reset your Windows PC. Furthermore, we’ll go over how to enable system restore as well as create a new System Restore point. A Restore point is a snapshot of your system state. More specifically, it is like an inventory list of system updates, applications, and device drivers in your computer at a specific time. Windows use this information to recover your PC back to the previous state. Please keep in mind that System Restore is disabled by default in Windows 10. Click here to enable System Restore in Windows 10. 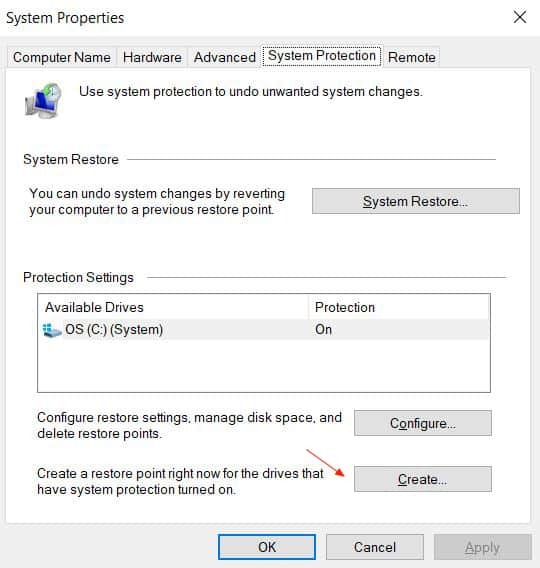 If you don’t have a System Restore point and you are unable to do anything in Windows, then you can do the system reset here. Step 1. Click Start button with the Windows logo at the bottom left corner on the Windows Taskbar. Step 2. Type “control panel” and click Control Panel from the search result. Alternatively, you may scroll down to the bottom of the Recently added list of programs to find Control Panel under Windows System. Step 3. Click Open System Restore from the Advanced recovery tools options. Step 4. To let the Windows detect any affected programs, click Scan for affected programs. After the scanning for affected programs is complete, you will see a list with items that will be removed as part of the system restore. If you know the program or device driver that caused the issue, then click Next and then hit Finish. 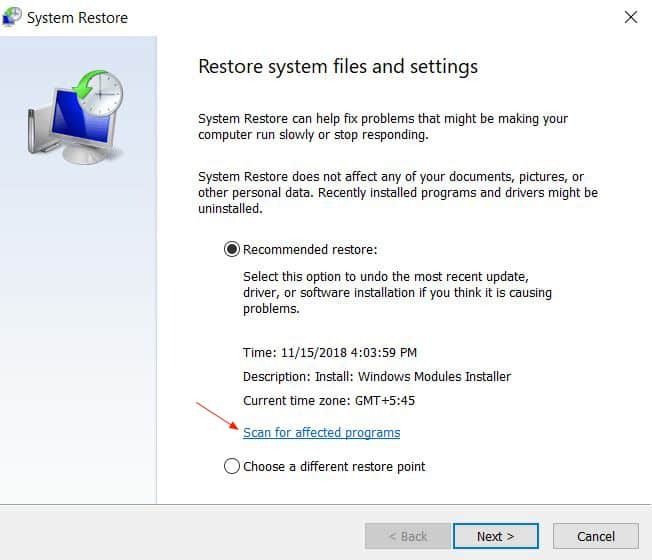 If you do not see any affected program after the system scanning, then you may choose to recover your Windows back by selecting a system restore point. 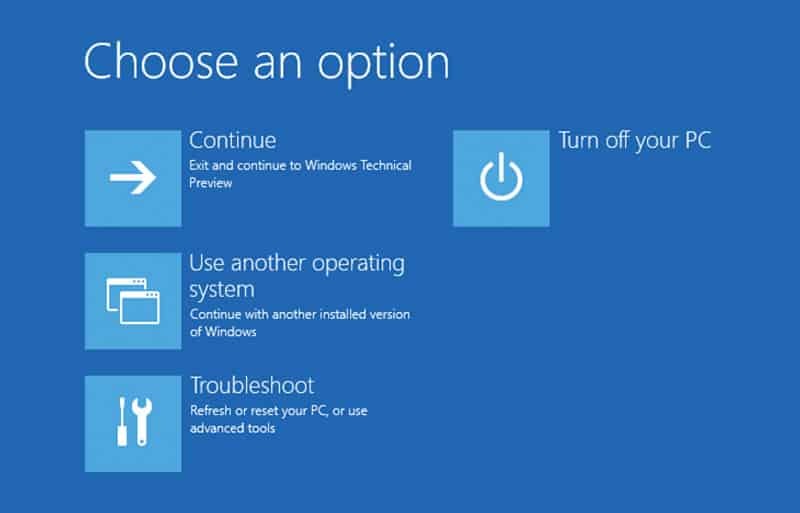 You may choose the Recommended restore to get your Windows 10 back to the most recent System Restore point. 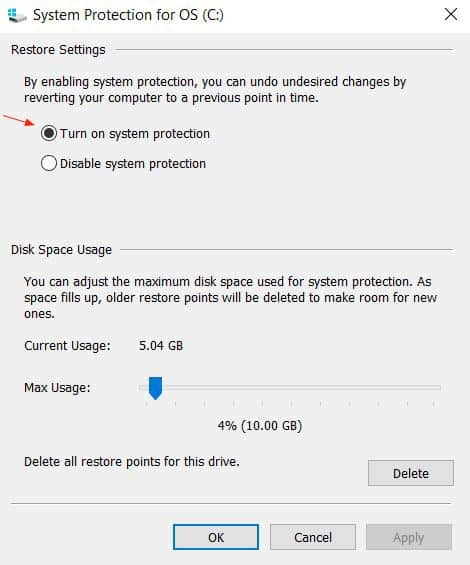 You also have an option to recover your computer to a different system state by selecting Choose a different restore point. If you have manually created a safe and stable restore point, then click “Choose a different restore point,” and then click Next. Step 5. From the list of System Restore points, choose the one that is from before you started having issues with Windows. You can find more restore points by checking the box next to Show more restore points. 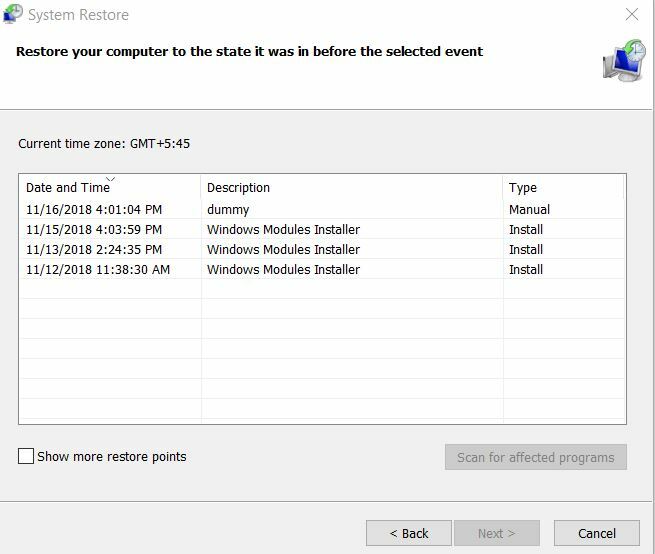 Each system restore point has the Date and Time when it was created. With a system restore point selected, click Next. In the next screen, you can confirm the drive being restored as well as the restore point being used. Select Finish to begin the system restore. System Restore is not enabled by default in Windows 10. So if you have not configured the system protection in Windows, then that will preclude any prospect of getting back your Windows 10 to an earlier system state. Then there are times when we desperately need to reset our PC, like when we thoughtlessly download an email attachment and only to find our computer is infected with some malware or virus. Doing Windows reset is, in essence, reinstalling the Operating System. However, unlike the fresh install, you have an option to keep your personal files, like your photos, videos, music, or MS Office documents. 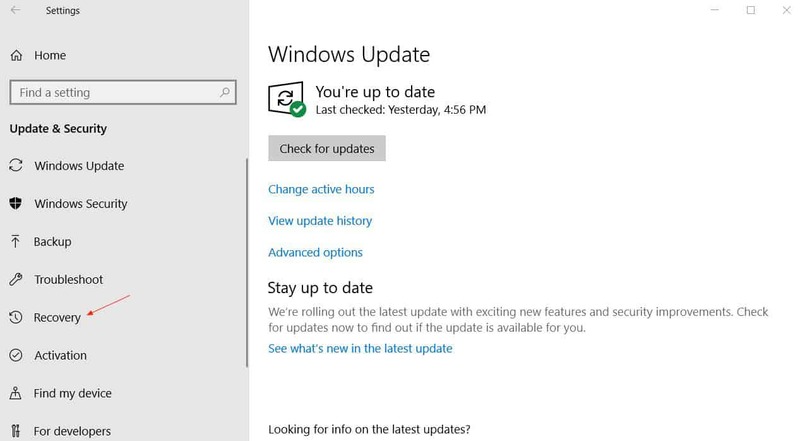 If your computer initially came with a previous version of Windows OS, like Windows 8.1, and you updated to Windows 10, then you get an option to do Factory Reset. Doing the complete reset will uninstall Windows 10 and reinstall the previous version of Windows that your computer came with. Step 1. Click Start button with the Windows logo on the bottom left corner on the Windows Taskbar. Now type “Settings” and click Settings from the search list. Alternatively, you can click the notification icon on the bottom-right corner on the Windows Taskbar, and select All settings. 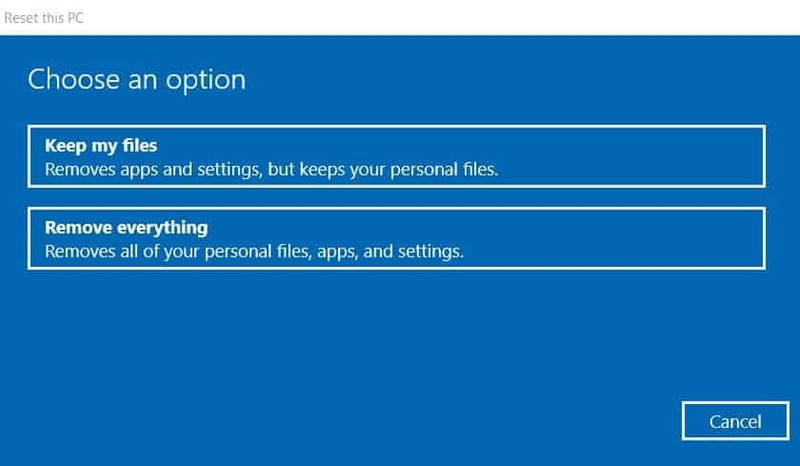 If for any reason you can’t get to Settings, you can have the reset option by restarting your Windows 10 from the sign-in screen. To do this, hold down the Windows logo key on your keyboard and press “L” key to get to the sign-in screen. Step 3. Click Recovery from the menu list on the right of the window. Step 4. Select Get started under Reset this PC. Step 5. Here you have an option to keep your personal files. If you don’t want to lose any of your files, then select Keep my files. Otherwise, click Remove everything. Alternatively, you can go to each folder in your PC, select your files, and copy them on an external storage drive. If your computer is infected with a malicious program, then you can selectively copy your necessary personal files to a separate hard drive or thumb drive. With your important files in a separate media, you can do the clean install of Windows 10. Click Reset to begin the reset process of your Windows. Maybe you had to reset your Windows 10 because you couldn’t do the system restore as you didn’t have any restore point. Now you can enable System Restore so you can recover Windows to a previous stable state in the future. Step 2. Type “system protection” to get to the System Protection window. Step 4. 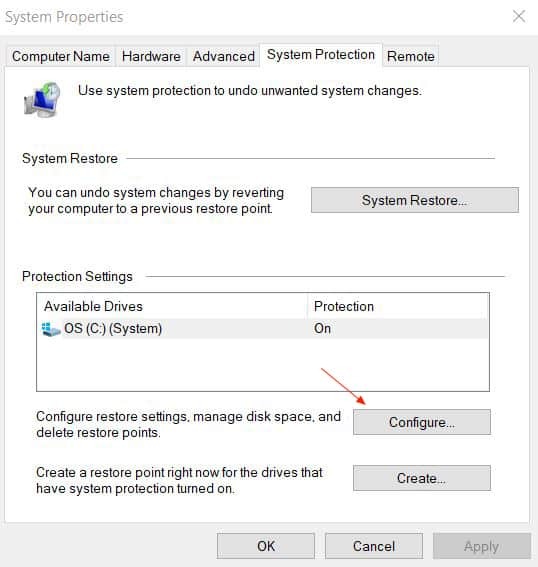 Select Turn on system protection to enable System Restore. Windows will create a new system restore point after turning on the system protection feature. In this screen, you have an option to allocate the disk space for system restore points. 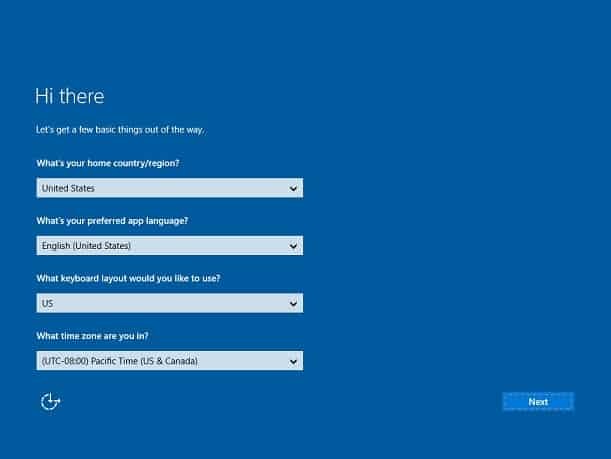 Windows 10 sets one percent of the total disk size for the system restore points by default. You can increase this value to have more restore points. 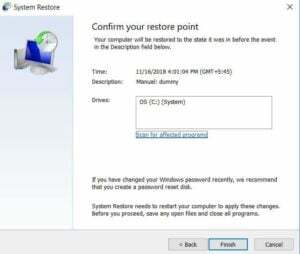 If there is no more space for new system restore points, then the operating system automatically replaces the oldest restore point to make room for the new restore point. If you feel that you have too many unnecessary restore points hogging your disk drive, you can select Delete under the Disk Space Usage slider to get rid of the older restore points. It is a good idea to create a safe and stable restore point before you try to make a change with your computer configuration. Having a known safe state is always helpful when things could go awry. Step 1. Click the Windows logo on the bottom left of the Taskbar and type “create a restore point.” Select Create a restore point from the search result. You don’t have to worry about typing in date and time, as they are automatically populated. Hit Create to begin the recovery point creation process. You will get a confirmation once the process ends. 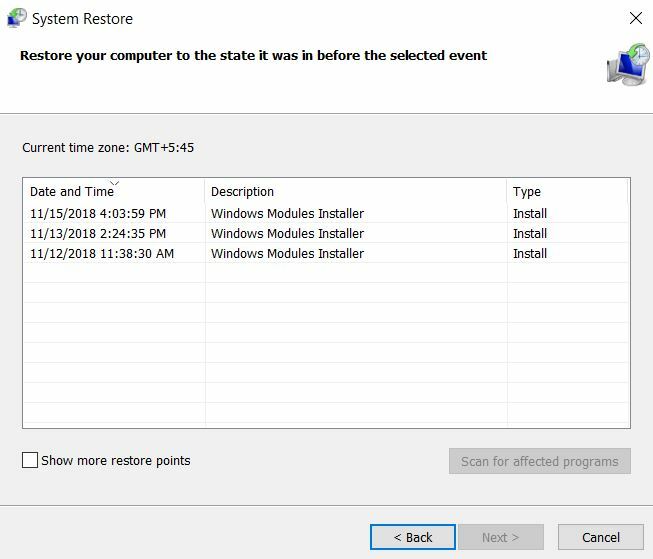 If you’d like to verify the newly created recovery point, you can select System Restore from the System Protection window, and find the new recovery point on the list. These days, computers do not come with recovery DVDs. In facts, newer laptops do not even come with CD/DVD drive. 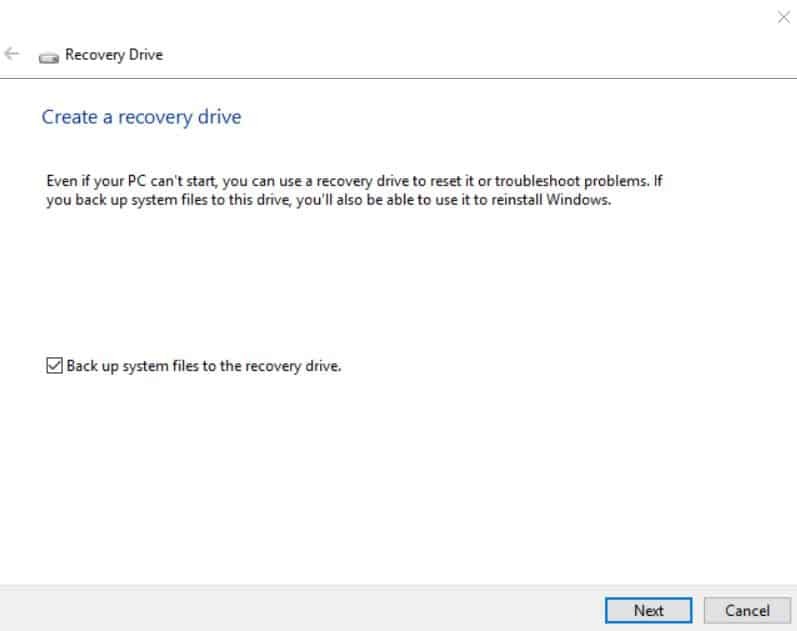 Even though Windows machine comes with a Recovery partition on the system drive, you can create a separate recovery drive in case your hard drive gets corrupted or erased. You can create a recovery media on a thumb drive, and save it in case you need it in the future. Step 1. Insert a USB drive with the storage capacity of at least 16 GB. If your laptop has a card reader, then you can use an SD card for your recovery drive. Step 2. 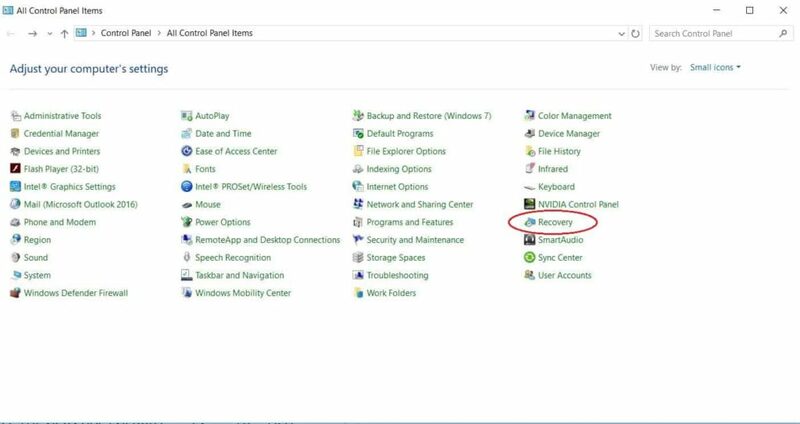 Click on the Windows logo and type “create a recovery drive,” and click Create a recovery drive from the search result. Click Yes when prompted to allow the app to make changes to your device. Step 3. Check the box next to Back up system files to the recovery drive. and hit Next. Step 4. Windows will detect your external storage drive. Click Next and then Create to begin the copy process. The copy process will take a while to complete because Windows need to copy a whole bunch of system files to a separate media. 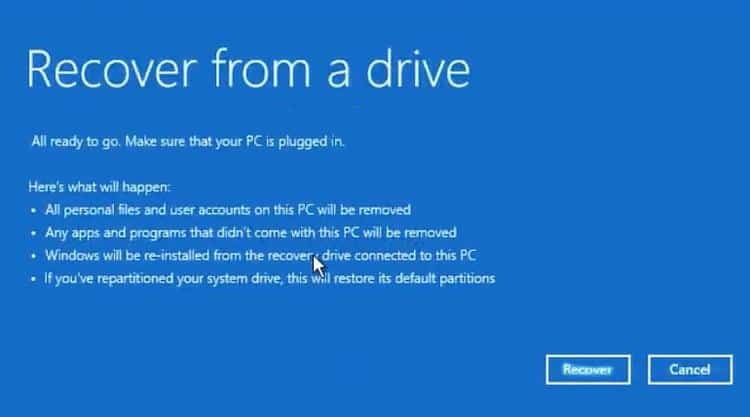 If you want to free up the disk space occupied by the system recovery partition on your hard drive, you can select Delete the recovery partition from your PC when prompted after the recovery media is created. 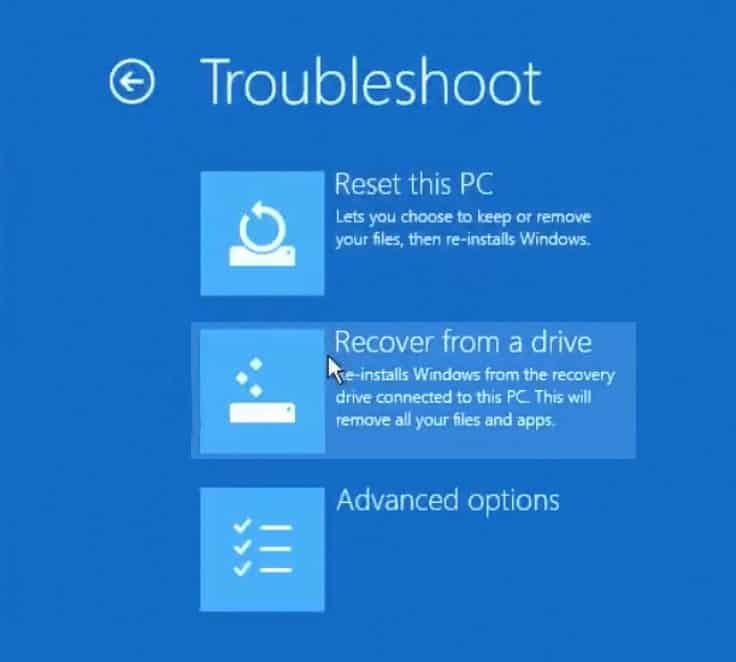 This method is applicable when you cannot boot into your Windows system or when the system drive is corrupted beyond recovery. You may be able to salvage the existing hard drive or get a new one. If your computer came with Windows DVDs, then you can use those discs for clean installing Windows 10. Otherwise, You can create a recovery media on a thumb drive by following the instructions here. Step 1. Your computer will run from the drive as mentioned in the boot priority list under the system BIOS. 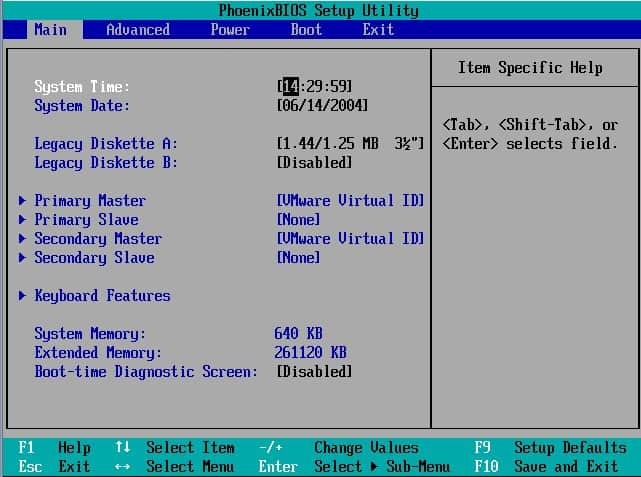 To boot from a thumb drive or CD-ROM drive, rearrange the drive list for booting your computer. If you want to boot from the CD-ROM drive, move this drive at the top of the boot list. When you power on or restart your computer, you see a black and white screen with textual information about your computer resources. You also see a message with a key to press to setup your computer. Usually, this key is either DEL or F2 on your keyboard. 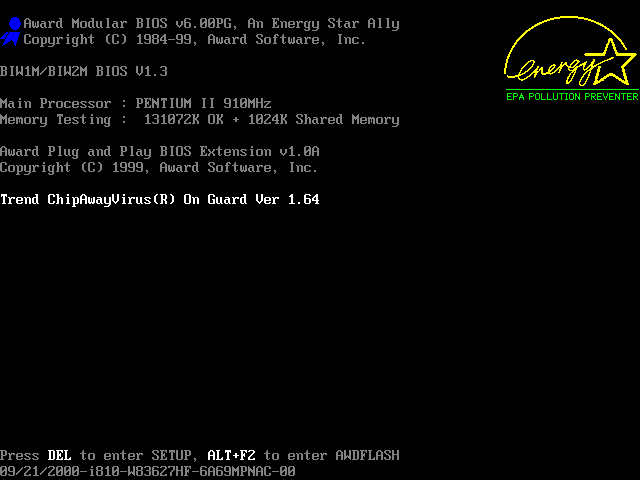 Tapping this key will take you to the BIOS mode. Depending on your BIOS, you may be able to hit the F11 function key to get to the boot menu directly. Step 2. Your mouse will not work in the BIOS mode. 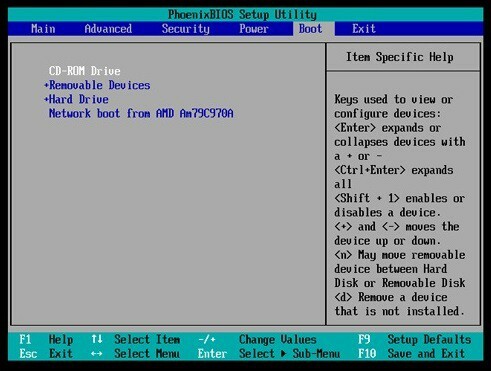 You can use the navigation and other keys as explained on the bottom of the BIOS setup utility screen. Use the right arrow key to select the Boot menu. Step 3. Use ‘+’ or ‘-‘ key to change the boot option. If you are using recovery DVD, then make sure that CD-ROM is on top of the list. Accordingly, if you are using a recovery flash drive, place Removeable Devices on top of the boot list. Step 4. Press F10 or the appropriate key to save the changes, and exit the BIOS mode. Your computer will restart. Step 5. Insert your recovery DVD in the CD-ROM drive or the recovery thumb drive in a USB port in your PC. Upon restart, the computer will boot from the device on the top of the boot list. If the drive with the higher priority is not available, then the system will try to boot from the next media on the list. If the boot selection is available with the F11 key, then use the arrow keys to select the appropriate media to boot from. Press the Enter key if prompted. Step 6. 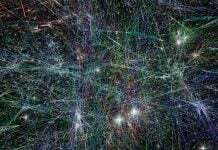 The system will start the recovery from the media inserted. The mouse function will work in this process. The first option to choose is the Keyboard Layout. Select the appropriate keyboard layout from the list. Step 7. Click Troubleshoot from the screen options. Step 9. You have an option for quick erase of your files in the hard drive or thorough cleaning of your hard drive. 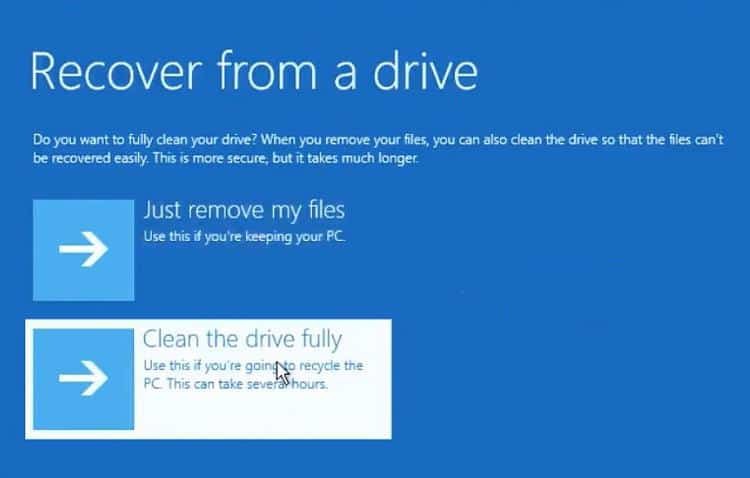 Fully cleaning your hard drive is recommended when you are giving away your computer for recycling or selling your PC. Doing a complete erase of your hard drive will take a longer time, and your files are non-recoverable afterward. Step 10. Next, you will get a screen prompt with a summary of actions that will be completed as part of the recovery process. Press Recover to start the process beginning with the deletion of the hard drive. The computer will restart a few times as part of the recovery. Upon restart, if you see a screen prompt to press any key to boot from CD or DVD, then do not press any key. Step 11. When the installation of Windows 10 is complete, your PC will restart with the personal customization screen. 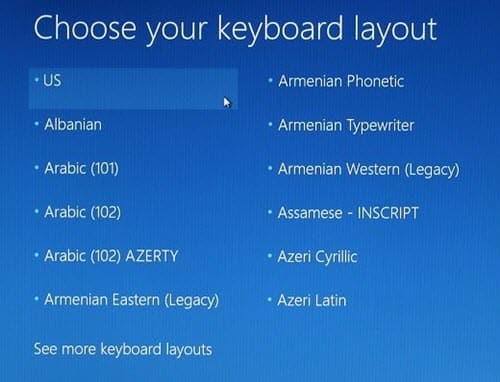 If you need to change region, language, time, or keyboard layout, you can use this step. If prompted to enter the Windows 10 license key, you can enter it in the product key field. You may enter the license key later. 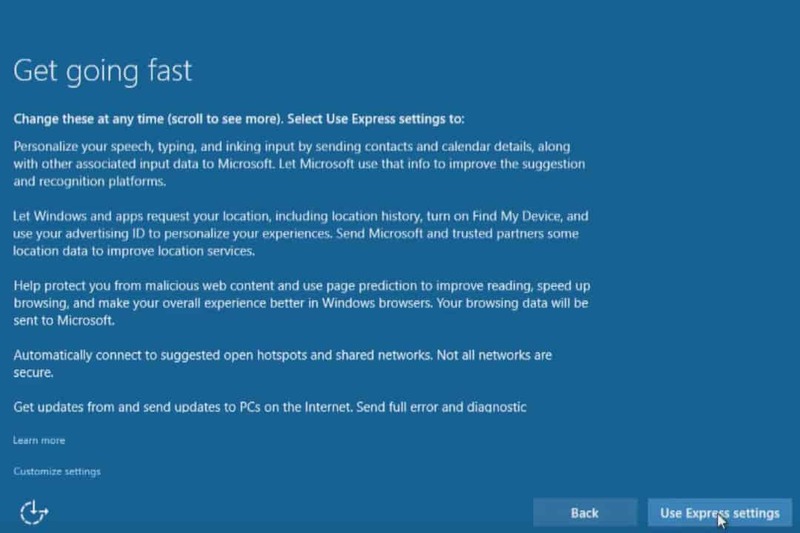 You can select Use Express settings to choose the typical Windows settings. If you’d like to customize the Windows settings, then you can click Customize settings. For the most part, Windows express settings do the job. Step 12. In the next screen, you can specify whether your Windows PC belongs to you or an organization. Select I own it if it is your personal computer. Step 13. 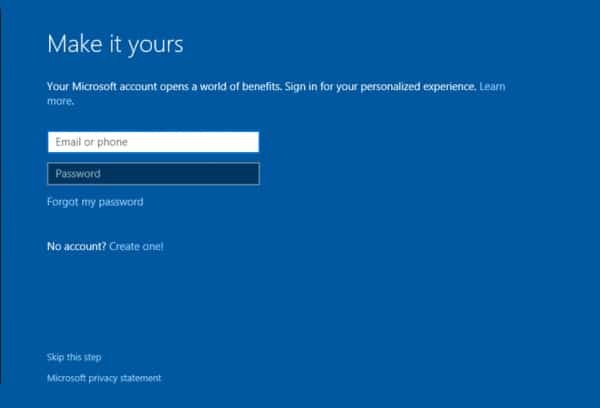 If you want to use your Microsoft credential to log into this computer, then you can enter your Microsoft username and password in the respective fields. You can create a new credential by clicking No account? Create one!. In case you want a local sign-in, you can hit Skip this step. And you are done! You have a fresh Windows 10 on your computer.